When it was originally published in 1984, Michael Crick's treatise on the Militant Tendency was widely acclaimed as a masterly work of investigative journalism, and although the rise of Jeremy Corbyn can be attributed more to the phenomenon of ‘Corbynmania’ than hard-left entrism, to some within the party, Crick’s ground-breaking book must seem like a lesson from history. 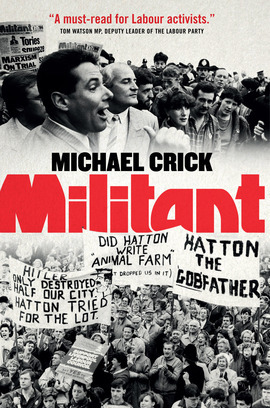 Updated and expanded, Crick explores the origins, organisation and aims of Militant, the secret Trotskyite organisation that operated clandestinely within the Labour Party, edging out adversaries at grassroots level and recruiting people to its own ranks, which, at its peak in the mid-1980s, swelled to around 8,000 members. Whilst eventually most of its leaders were expelled, it caused damaging rifts within the party and closed the door to Downing Street for almost a generation.